Today we’re looking at the real estate market for houses in some of the “west valley” communities along the base of the Santa Cruz Mountains – areas where schools are good, crime is low, residents enjoy scenic views of the hills (or of the valley from the hills, depending on the location) and overall, a highly educated population not too far from Highway 85. 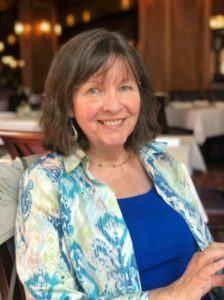 Please hop on over to my Valley of Heart’s Delight blog to check out how the Los Gatos market is doing as compared to Saratoga, Cupertino, and Los Altos. It is no surprise that these Silicon Valley areas are among the most expensive in the Golden State. Each area has a good number of luxury homes and estates. To read the whole article on the Merc, click here. Want more info? To check the most current median list price, average list price & other real estate market numbers and trends, please visit my Real Estate Report, which has this data for Los Gatos, Monte Sereno, the Los Gatos Mountains, and all the cities in Santa Clara County plus San Jose as a whole and by area such as Cambrian Park or Almaden Valley. 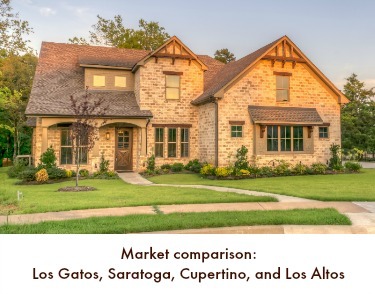 The Los Gatos real estate market is heating up, particularly in the homes that are most affordable (and featuring Los Gatos Schools) but noticeable in many areas and price points. Below please find a graph displaying prices and sales (median and average) for single family homes in Los Gatos. This graph uses a 3 month moving average to level out any odd bumps in the data such as seasonal fluctuations. When looked at together, the overall trend becomes exceedingly clear that the market is changing. Sellers, the market is better now than it’s been in many months. If your home is not getting activity, it’s time to get it in line with the market. Buyers, it’s still in your camp in many markets, but your advantage seems to be slipping. No one knows whether the market will continue along this trend or if this is just a blip in the Silicon Valley real estate market landscape. The threat of more foreclosures throughout Santa Clara County will be the thing which can tip this one way or the other.